What are Hard Drives and its Related Type Mean? 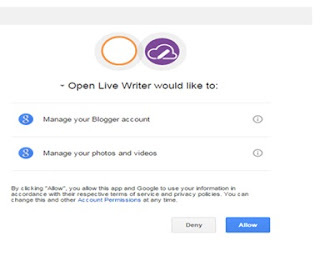 Open Live Writer or OLW is a successor of Microsoft Windows Live Writer. Since Microsoft stops the support of Windows Live Writer, and now this program become an open source program under the development of.Net Foundation. Even this program is a clone of the Windows Live Writer, it is fully equipped for our offline and online publishing of our post in different blog platform. Like the bloggers and WordPress. Google officially updated this program as OAuth2 a modern authentication system build by Google. Since this post was posted here, My Blogger Tricks whom I receive the information through their email notification, all the bugs were fixed and we can install this program smoothly in our computer. You can download the bugs free installer of OLW by opening this link, Open Live Writer Installer called Nightly and this installer works on Google blogger's version 3. It is sorely tested, since I posted yesterday and today using this program. All we need in our post like adding accounts of our blog both editing and updating was working smoother, label, setting categories, fixing formatting errors, Insert hyperlink, videos, and pictures, etc. all are running in the ribbon under the three menus, the HOME, INSERT, AND BLOG ACCOUNT. 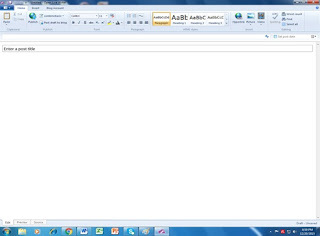 You can install this program very simple same as the old Windows Live Writer or follow the instructions below. Download first the OLW installer from the link I have given above or simply open the .Net Foundation site. But to assure that your installer is free of bug you can use the link above of this post. After you downloaded it, open the folder location using your browser and double click the OLW download files. An installation wizard window will open, you will see the progressive indicator of the downloading the rest of files and the installation. All you need is to wait until it will finish. After it will finish all you need is to follow the onscreen instructions. Once the installation will ask your blog profile, select like bloggers or WordPress. It will ask after your blog URL, your username, and password. And it will ask you also to download your template layout. 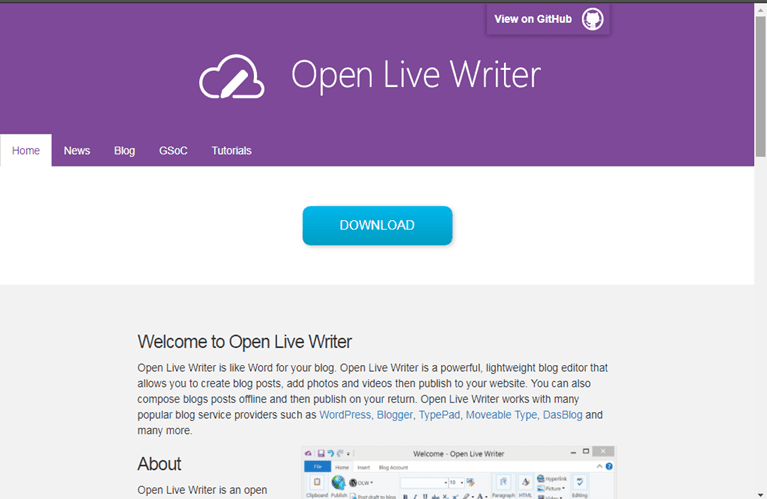 Just allow only to start to download in your Open LIve Writer program. After you will see the OPEN Live Writer user interface. Now start adding your blog account and you can start now your write-ups and publishing. Do not uninstall your Windows Live Writer, unless you will assure that all your posting is surely backup after the installation and adding your other blog account.